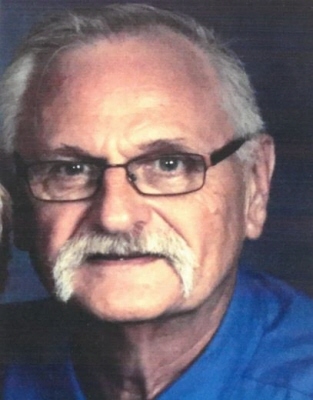 Frank John Feucht, 68 of Mayville, passed away peacefully at home surrounded by his loving family on Jan.19th, 2019. Frank was born on Nov. 21,1950 to George and Virginia Feucht in the town of Theresa. He graduated from Hartford High School with the class of 1968. Frank proudly served his country during the Vietnam war from 1969-1971. Before his honorable discharge in 1971, he received the Purple Heart for combat wounds, the Bronze Star for outstanding service with military operations against a hostile force and the Army Commendation Medal for Military Merit. Now 48 years later, Frank still battled the effects of that war, battling cancer due to Agent Orange. Frank was a member of the Fohl-Matin American Legion Post 483 in Allenton WI. Upon returning home from the war, Frank worked at a few jobs as a welder but settled into John Deere in Horicon where he work as a welder until he retired in 2009. After his retirement he worked at Key Logo in Hartford as a delivery driver. On May 13, 1972 Frank married his high school sweetheart and the love of his life Wendy S. Koepsell. They raised four beautiful children and are blessed with 12 wonderful grandchildren. He was a wonderful father to the kids as they grew up. Always coaching all their sporting events and never missing any activities or sporting events they were involved in. Then the grandchildren came and he so enjoyed spending time with them and going to as many activities that he possibly could. He was always there to babysit, read a book, do homework or pitch a few baseballs. He also loved to mentor other kids along with his own in all things sports. He coached little league baseball and softball and volunteered umpiring for many years in the Allenton youth softball program. Frank also was a avid Milwaukee Brewer fan and followed them faithfully. He also loved to hunt, fish and snowmobile. Frank is survived by his wife Wendy ( nee Koepsell) of 47 years - his son’s Jason (Brenda), and Craig, and his two daughters Jennifer Roemer (Paul) and Brenda Grinwald (Eric). His 12 beautiful grandchildren Tony Link, Dawson and Calvin Feucht, Jacob and Nora Feucht, Peyton, Ryan, Clayton and Allison Roemer, Roman, Truman and Lincoln Grinwald. His mother Virginia Feucht and his siblings: Dorothy Hagen (Jerome), Phyllis Radloff (Rodney), Susie Boehlen (Richard), Joanne Greuel (Larry), Mary Roecker (Steve), Marvin Feucht (Melanie), Mike Feucht (Sheri) His siblings in-law: Sandy Grulke (Fritz), James Koepsell (Jean), and Gary Koepsell (Chris), and many other dear relatives and friends. He was preceded in death by his father George, his mother and father in law, Art & Marge Koepsell, and his nephew Rick Boehlen. Mass of Christian burial for Frank will be held on Thursday January 24, 2019 at 10:30a.m. at Resurrection Catholic Church (215 Main St, Allenton, WI 53002) with the Very Rev. Father Rick Stoffel officiating. Family will greet relatives and friends at the Shimon Funeral Home on Wednesday January 23, 2019 from 4:00-7:00 p.m. Additional visitation at the church on Thursday from 9:30a.m. until the 10:30a.m. Mass. To send flowers or a remembrance gift to the family of Frank Feucht, please visit our Tribute Store. "Email Address" would like to share the life celebration of Frank Feucht. Click on the "link" to go to share a favorite memory or leave a condolence message for the family.